David Reid is senior vice president of global accounts and chief sales officer for National Oilwell Varco (NOV). 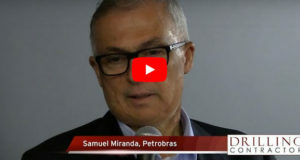 What are some critical issues facing the oil and gas industry, and what is being done to overcome them? There is more difficult drilling as we look at the work ahead of us, and it’s all very cost-intensive. The challenge is, if you take onshore, for example, most of the wells we’re going to drill in the future are high volume. There are a lot more wells to be drilled, and we are in a fragile market, which is always a problem. We have to find a way to change the model, to find a way to apply technologies that will actually give a better result. So for us, a lot of the future barriers lie in how we interact and work with the drillers and the operators to try to solve a problem. What often happens is people try to work on pieces of a problem. For us, when we look at manufacturing, the things that we learned are that it is about how to collaborate better and learning how to deal with problems as groups. That has been part of our vision. If we call the drilling process a machine, over time if we start to pull together and put into one company most of the machine, that provides the opportunity to improve. Otherwise it is all interdependent, and it becomes a very poor business model for improvement. You miss the holistic feel that you need to resolve problems. 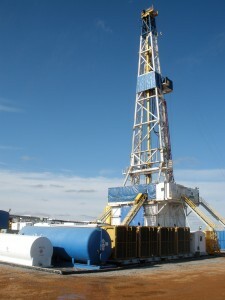 When we get to the land rig, we can touch everything necessary for drilling the well, except for the engines. What stops us from getting what we need is usually the desire not to change. Ultimately, we have to change. The compelling need is for costs to come out of the model. We learned this in our manufacturing plants. The best plants we have are when they changed culturally to understand that their suppliers are actually their partners. We have seen that already. We have gone through some changes in the business model with jackups and drillships. Because we didn’t have control of the whole process, we built partnerships with shipyards, and ultimately, today, as opposed to 10 years ago, rigs are coming out on time and on budget. The logic was drillers believed they had to have an edge in the nuance between drilling rigs, so every rig was a little bit different. To us, as a business it was horrible. To the shipyard as a business, it was horrible. To the driller, could they actually see a benefit at the end of the day? They would argue yes because they get dayrates based on their performance and the variables were never significant enough. The reality was every time you customize a rig, you end up with a very expensive project. You just added engineering to everything that moves. It looks like a good idea, but our business model and the shipbuilders’ business model were not making money. At the end of the day, the customer ended up paying more as we tried to send a message by charging more to try to limit changes. 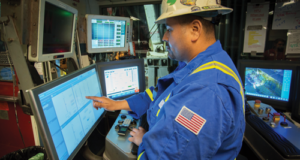 Using Chesapeake’s Nomac Rig 51, National Oilwell Varco has been testing its tools for live feed of downhole weight-on-bit, torque and speed through IntelliServ wired pipe to the rig floor. The point is that we went to a holistic development of the construction process. We changed our behavior to service ours and the shipbuilder’s business models better. Nobody believed that a driller would buy a standard rig, but in a business that is capital-intensive, saying I want to bring your rig on time and on budget, and which is going to drill with less downtime when it comes out, that’s a pretty attractive business model. It began with jackups, and today we have more standard jackups, although there was a time in the not-so-distant past when we did build standard jackups. As the game developed, the drillers learned how to get a slightly different jackup, so there are different models with different capabilities, but a lot of systems have been standardized. 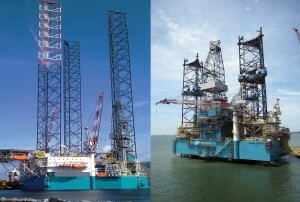 Keppel FELS was the first company we went to and proposed to them that we go with a standard design. They believed it was impossible, but we managed to get the first three buyers to go with the standard design. Once that had been proven, for the first time, we all made money on the job and it came out on time. The industry backed into it because it made a lot of sense. There are specialized rigs that are uniquely different, and extra work goes into them. 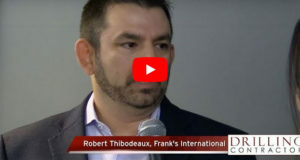 Those are from the types of drillers that have a huge stake in their industry leadership and that is where your change and your new ideas come in. You still see some changes to a standard design, but is it still considered the standard-design rig? Yes. From a risk side of the game, it comes down to details as simple as, are your rails and top drives in the same place? Is your derrick the same shape? Is your cabin in the same location? From an engineering standpoint, everything that doesn’t move has pre-engineered detail that does not need to be repeated. From the manufacturing standpoint, everywhere you can repeat is a cost-effective model. Some things vary, but ultimately what we did was change the traditional business model, which is the drilling contractor buys from a shipyard and buys from an equipment supplier. 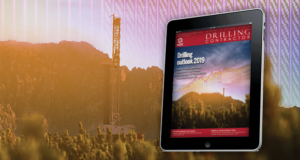 Some drilling contractors are a bit frustrated because they don’t get some of the things they want in a design, but the rigs seem to be performing well. If you have a preference for a different crane or power system or top drive, you can do that. You can standardize and you can repeat that. The model doesn’t mean only NOV; you will see that all of the other suppliers have followed the same model. Generally the wise buyer at this point wouldn’t mix us with suppliers. They just don’t mix them because it is not a great idea. That trend has changed to get wells drilled earlier by delivering rigs on time and on budget, which is worth a lot more money. 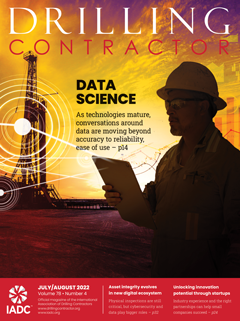 Are drilling contractors today still embracing standardization? Originally, it didn’t happen with the drilling contractors. The interesting dynamic was the ability of the financial markets to come in and create drilling contractors and start investing in a rig that would work. It changed the model of how rigs could get built. These investment companies came in, funded, built and developed drillers, and then the larger companies came in and eventually bought them. As they go forward, they are realizing that this is a good model. So the drillers choose to follow the more secure investment. What got the model going was the ability of the market to speculate and build rigs, and then the drillers came along. When you look at rig construction today, there are mostly drillers and fewer speculators building rigs. Then you have people who have new ideas and who improve the standard, which is what you want. The argument before was, we don’t want a standard because how would we ever get better? The reality is the market causes some different designs, and that causes people to think again and question what they are doing. So you come up with the next standard. Are you doing the same kind of business model for land rigs? 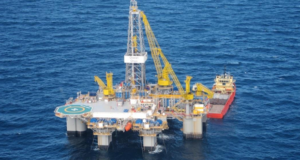 A standardization effort in rig construction has resulted in rigs being delivered on time and on budget in more recent years. 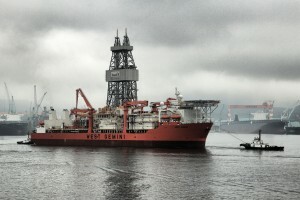 Seadrill’s West Gemini drillship was delivered on budget and a day ahead of schedule in 2010. That’s where it gets interesting. We have been building complete land rigs, and the designs have been interesting. Where we can go with land rigs, and I believe it will fold back into the offshore fleet, is going beyond the rig equipment. We now have wired drill pipe, as well as all the downhole components from the bit up and a strong position in the supply chain. What we have been doing is offering the connecting of all of those pieces with our partners and offering to open a more strategic conversation over a whole operation. We are continuing to invest in improving other processes in production, as well as dealing with issues surrounding the drilling process, such as coil tubing and fracking systems. 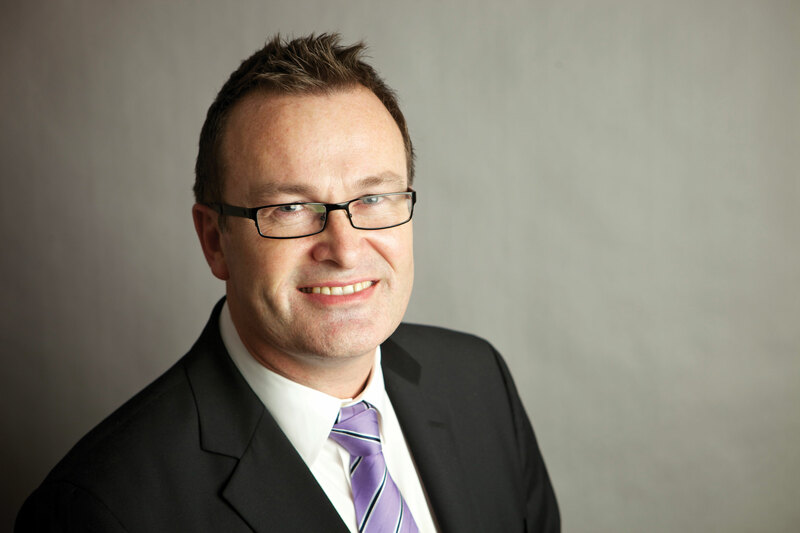 You start being able to help the industry look at the whole process and questioning current operating models. 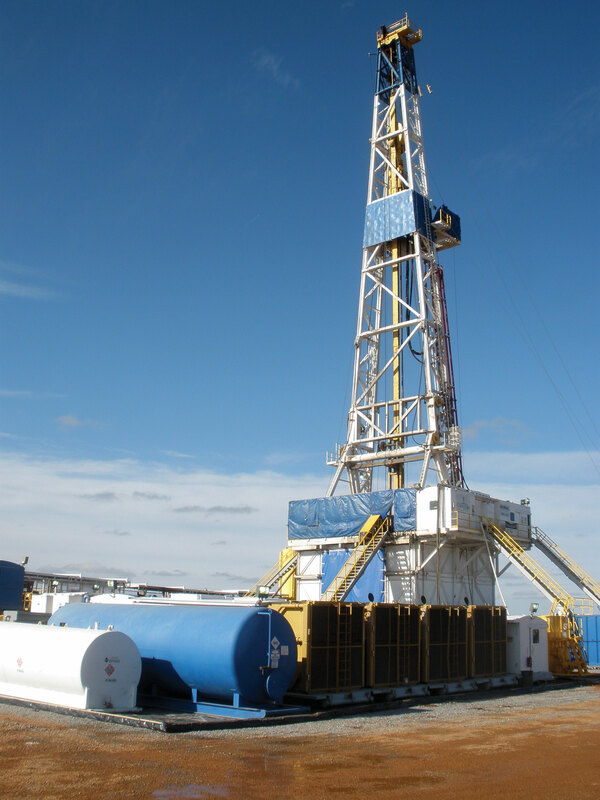 There are two aspects that affect the general operation of the rig if you are going to work on the cost. 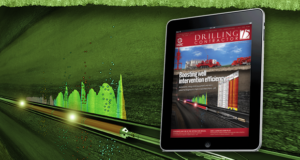 One is that you can automate the whole drilling system. I think you will see a number of the leadership community for automation looking for better value from the process. Today, extensive work is going on to use smarter systems to eliminate vibration, sticking, slipping and build-up solids. You will be able to visualize all of those things and more as the industry discovers how to utilize live data through wired pipe. 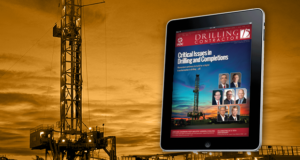 It will give you a live response, and it can tell the condition downhole and create systems and operating behaviors that react to and anticipate these challenges. Our world will change with the advent of automation. That is fairly advanced at this point, but the point is now the rig can intuitively drill the best possible well. The second aspect with the highest cultural barrier for change is the actual process. To get there, we still have not conceived of a rewarding business model when our business is focused on driving cost down while surrounding the process with contingency upon contingency. It is the low-hanging fruit when we often look at clever ways to reach the top of the tree. What is the next step in automation? Normally where the process would break would be a person in the mix, which would have to take the data, assess it and then make a decision. 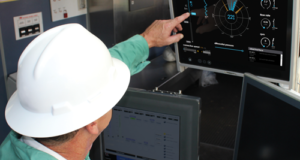 To improve, we would create enough computing power that the computer senses what is happening, and it assesses information and helps the driller get the job done better. It has to become an operational marriage, so to speak. We are just introducing the two parties today as the automation courtship gets going. At this point, many are delivering systems that can drill a stand, but a viable commercial model doesn’t exist yet. We are all working on systems that can move closer to that Nirvana year over year. 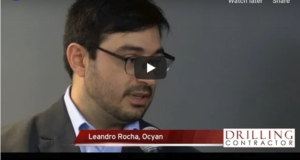 What’s the driver for an automated system? Other than the obvious cost issue, the people issue is what drives us. Not only in our business where we have a lot of products and technologies that make the work environment better, from moving the rig, to power slips, to iron roughnecks, to moving people out of harm’s way. In the future, is there a man on the rig floor? Probably not. We have systems where the pipe is doped before it gets to the rig floor and auto-dopers so a man can operate the rig from a safe distance. There is some point where a human brain can ascertain some things better than a computer. We already have a lot of automation on the rig. Today the drilling computer on the drawworks calculates the best ROP, and it’s gotten us a 30% improvement on our drilling. NOV has built partnerships with shipyards to instill a more holistic approach to jackup construction. Pictured are the Rowan Stavanger (left) and the Rowan Norway (right). Can well control and BOPs also be put into the automation loop? When it comes to BOPs, nearly everything is instigated by a human. Previously, someone would have to be trained enough to read the signals to know there is a well control event. Now the system pops up a screen and tells the driller there is a well control event and you need to do something about it. The human still goes with the data because sometimes you get false kicks, but that is just the beginning. 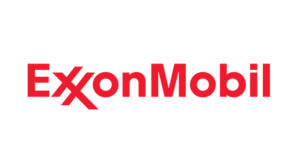 Some oil companies are asking for an absolute automated well control system, and there is a lot of discussion and work going on around that. To allow the system to get smarter is a question of progression. Is there a point that a well would be shut in because everything points to a problem? Some are requesting it and trying to find a way to get there, and many remain skeptical. With enough information, the goal is that the computer will lock in and avoid even the chance of something happening. The implication of the process failing makes this a tough hurdle. Some argue well-trained humans and some say we can’t be consistent with humans, so there has to be another way. You’re chairman of the IADC Advanced Rig Technology Committee. What are some of the projects the committee is working on for the future? The interesting thing gets into taking the whole drilling process from setup through completions and looking at the large volume of drilling to take out a lot of the risk management, which is redundancy and more redundancy. Today we can’t do that because the oil companies separate the businesses of drilling and completions. The two groups don’t seem to want to talk to each other. But some of the equipment is the same. Every rig does completions although the rig wasn’t designed for that. 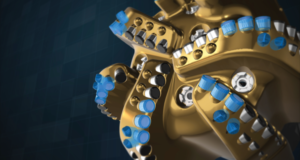 There still is a lot of work to be done in the integration of processes and the viewing of the holistic drilling process. 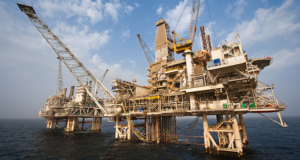 The big products of the future that oil companies need are performance and uptime. It’s all the same model; it’s a cost driver. Those are the products of the future.